I have created the world's first Fly Fishing Advent Calendar. It delivers a set of must-have flies every true fly fishing enthusiast wants. The fun starts on December 1st when door number one is opened to reveal a high-quality, waterproof fly box. Over the next twenty-three days, our lucky fly fisher will enjoy receiving a new, hand-tied, fresh-water fly everyday until his/her fly box is full on Christmas Eve. The name of each fly is printed on the inside of each door. Flies will vary however all are tied in Canada using the highest quality materials and hooks. This year I have teamed up with ReelFlies.ca to help meet the ever growing demand. ReelFlies has also graciously included a coupon inside to help restock your favourites. Ladies and gentlemen... the Falvai Creative Dog Treat Advent Calendar. The fun starts on December 1st when door number one is opened to reveal a high quality treat dispensing toy crocodile with a super healthy treat in its mouth. Over the next twenty-three days, your lucky pup will receive a delicious and nutritious treat everyday right up until Christmas morning. The calendar is filled with treats in three flavours: organic grass-fed beef, wild sustainable Pacific salmon and natural peanut butter. The treats are made in partnership with Nanaimo, BC based company Kali Wags which stands behind their motto: Even fussy dogs love these! Handmade with extreme care on Vancouver Island, BC, Canada. The treat dispensing toy is BPA free but NOT indestructible. This calendar is fun and stylish. Spoil your dog with it or treat another family to the fun. This is my Fly Fishing 24 piece Gift Set. In it you will find one beautiful, top quality, waterproof fly case and 23 must have, hand crafted fresh water flies. This is the perfect gift for any fly fishing enthusiast. The box is an exact replica of an antique British fly case. The names of the flies are printed inside each individual door inside the box. All flies are hand made in Canada using the highest quality materials and hooks. This year to help meet the demand, I have teamed up with ReelFlies to tie all of the flies. You will also find a coupon inside to help restock your favourites from ReelFlies.ca. Need help with a design project? 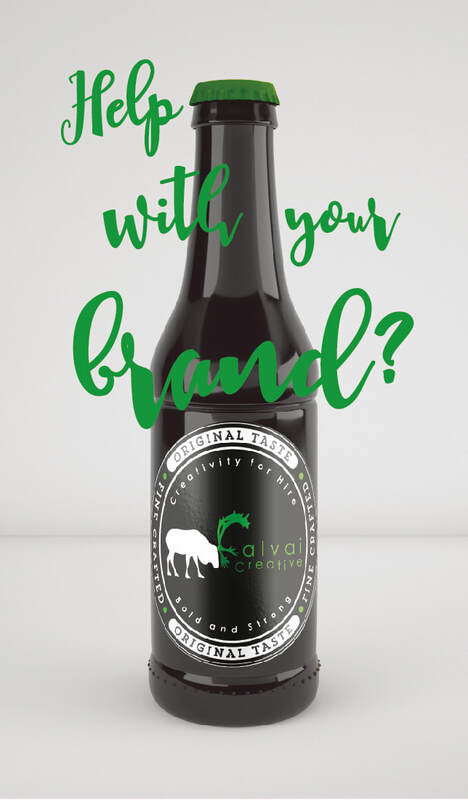 Want to polish your brand? I can help with everything from a logo for your company to a restaurant layout. I can help you with that tricky packaging design or build you that very custom piece of furniture you want in your head.